UPDATE: Unfortunately Zoroastro Catering is closed. 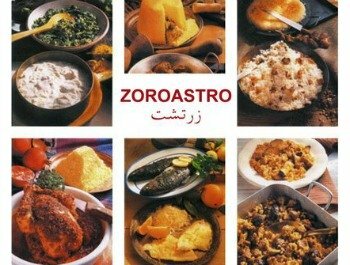 Zoroastro catering is the best homemade Persian and Armenian cooking that you will find on the Costa del Sol that is lovingly made in the traditional Iranian way. In a place where it is hard to find exotic cuisine such as Persian and Armenian cooking, Zoroastro Caterting is a blessing to have in Marbella and throughout the Costa del Sol. 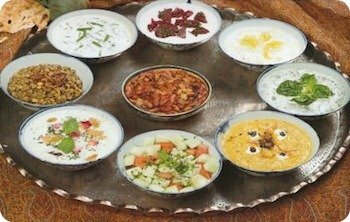 The cuisine of Persia is unique: many of its dishes can be traced back a thousand years ago, some even more. 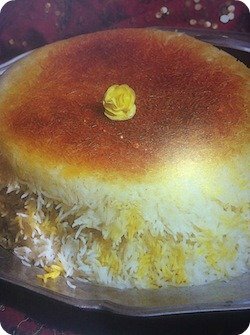 Persian food is nutritionally balanced and visually attractive but, above all, it has survived because it is delicious. Persian food is not spicy as in hot but strongly flavoured with a wide range of delicate spices. It is impossible to contemplate a classical Persian meal without those two main ingredients : saffron and lemon. Enjoy the blend of meat with fruits and/or nuts, even though every recipe can be made as a vegetarian dish. The special method of cooking rice is unrivaled anywhere. Minimum order is for a party of 8 and must be ordered at least a week in advance. Deliveries outside of Marbella include a surcharge. Vegetarian dishes available! If you are not familiar with these recipes, contact Zoroastro Catering by email and they can recommend the best combination of dishes and advise you according to your necessities and seasonal ingredients. Zoroastro only uses fresh biological products. However, most of all, what makes Zoroastro different from a restaurant is that they present you with traditional family home cooked recipes made with their own secrets which can only be found in a private Persian household. Location: Covering Fuengirola to Estepona. Delivery charges outside of Marbella and San Pedro. Out of all the Marbella caterers, you will not find anything more different and exotic than Zoroastro catering. Not sure what to choose from their menu? Let the specialists choose the most popular dishes for your next party or discuss the options available to make everyone happy. There is so much love poured into every dish that you can feel with every bite, you will not be disappointed! Nikki: "Charming service. Food like home!" There are loads of Costa del Sol caterers out there, but Zoroastro is by far one of the best in their field of Iranian cuisine. They can cater to small or large dinner parties with the professionalism that you would expect from the best.